So here is the second of three parts of a potted history of UK gaming through one pair of eyes. As first published on the Kwalee website. If you are interested in drilling down for more stories you can use the anecdotal musing button in categories in the right hand column here, or search for keywords using the box at the top of the right hand column. Imagine Software was very profitable to begin with, the cassettes cost us well under 50 pence to manufacture and sold to distributors for between two and three pounds. We built up turnover during 1983 to a million pounds a month. So although the directors had nice cars the hire purchase payments on these used up very little of our cash flow. Then in 1984 sales hit a brick wall and we suddenly had no income. It was as if someone had turned a switch. We employed quite a few Youth Opportunity Programme people and they told us that all their friends had stopped buying games, they were tape-to-tape copying instead. To double the problem, a number of illicit duplicators now had manufacturing equipment to counterfeit product to sell cheaply in markets. One of our largest customers was the newsagent chain W H Smith. One day a truck filled with literally tons of our games appeared from them which Smiths told us were all faulty and they refused to pay our bill. We tested the games and they were all perfect, the kids were buying them, copying them and then returning them as faulty. To try and prevent people copying instead of buying we tried many things, including writing a letter to all of the magazines, which some of them published. We wanted to bring the retail price of our games down but our big customers (W H Smiths, Bootsetc) wouldn’t let us. The “megagames” (Psyclapse and Bandersnatch) were an attempt to make our games copy proof by incorporating a “dongle” that plugged into the back of every customer’s computer. But we ran out of money before they could be completed and we went bust. Lots of other game publishers also went bust. We were particularly vulnerable because our development process was drastically under managed, so lots of staff created very little product which resulted in us being one of the first to go. After Imagine, I went to see Barry Muncaster, the managing director of Oric and he offered me the job of managing director at their software house, Tansoft. He wanted to inject more excitement into the market for his computer. There were rumours that they had financial problems so I asked Barry if the job would be safe, he said that they couldn’t go bust because they were a subsidiary of a public company. Unfortunately I believed him and my new job did’t last very long. Working in Cambridge was very interesting because there were so many technology companies staffed by exceedingly bright people, but it was a desert for marketing. If we added some marketing competence to Cambridge we would have a British Silicon Valley. At Tansoft I had met Bill Richardson of Oxford Computer Publishing, based in Chalfont, who published serious software for the Spectrum. Bo Jangeborg from Sweden was writing a graphics programme and Bill employed me to market it. But he sold it toTelecomsoft who published it as The Artist and I was looking for something to do again. Luckily one of his friends, Vic Cedar of Citadel Products, had a spare desk for me and I set up a company called Abbot to buy and sell computer related stuff using my contacts in the industry. Working at Citadel was fascinating because it was an early PC clone manufacturer and the workshops were always full of the very latest technology so I learned a lot about what made the IBM PC tick. At this time I started exhibiting at the ZX Microfairs held at the Royal Horticultural Halls in London, which were incredibly busy. Then one day I saw a cheeky advert in CTW for a new game company in Banbury, set up by the Darling family, called Codemasters. I went up to see them and they asked me to work for them a couple of days a week. Within a month I was full time, in charge of marketing and I sold Abbot off. Back then Codemasters consisted of David and Richard Darling mostly managing product but also massively involved in the business side of things, their father Jim Darling (who today is the chairman at Kwalee) applying his vast business experience, sister Abigail running the office and Anne Pinkham ringing round the industry to generate sales. Codemasters’ business model was to combat piracy by selling games at the lowest possible price. This meant that they were not worth copying and became impulse purchases at places like petrol filling stations. We came up with a very effective marketing strategy of telling the world that our games were full price quality at a budget price. This was very effective against the competition. Why buy a full price game when you can buy something of comparable quality for a fraction of the price? And why buy from one of the other budget publishers when you could buy a higher quality game from Codemasters? The £1.99 price point meant that we had to sell enormous quantities of games and that there was not much money to spend on marketing. So we concentrated our efforts and spend on marketing to the trade, with advertising campaigns in the trade newspaper CTW. To reach consumers we used public relations and went to the Lynne Franks agency (which the Absolutely Fabuloussitcom is based on). They got David and Richard on to lots of the weekend morning kids TV shows and into most of the weekend newspaper colour supplements. Within the first year of trading we had 27% of the total UK market by sales volume according to the Gallup charts, but in reality we were selling much more because we were selling vast quantities of games through outlets that Gallup didn’t monitor. A lot of marketing effort went into trying to recruit other developers whose work we could publish. Andrew and Philip Oliver were the most prolific, churning out game after game, all to a very high quality. Most famously they developed the Dizzy series of games and today they run a large development company in Leamington Spa calledBlitz. Gavin Raeburn was another excellent game developer who is now development director at Playground Games in Leamington. 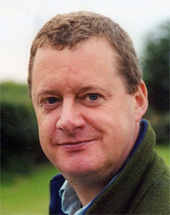 Peter Williamson came from Scotland and created many titles. He is now Managing Director of Supersonic Software in Leamington. And so it went on, a panoply of young talent who went on to have a major impact on the game industry in Britain. Previous Post: A history of the UK video game industry through my eyes. Part 1.